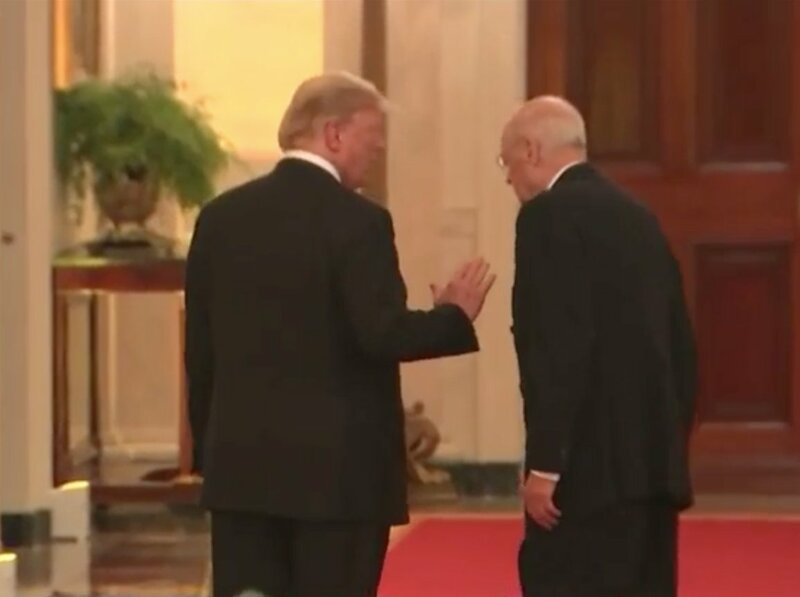 3/ Note that as Trump and Kennedy exit the East Room (beginning at about 30:01 in the above video), as they're walking down the hallway, Trump momentarily touches with his finger-splayed right hand in the upper center portion of Kennedy's back (30:27 - 30:28). 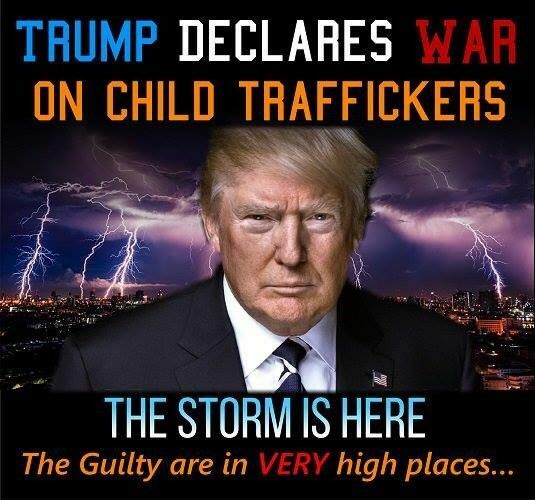 4/ President Trump exhibits this particular behavior extremely often. 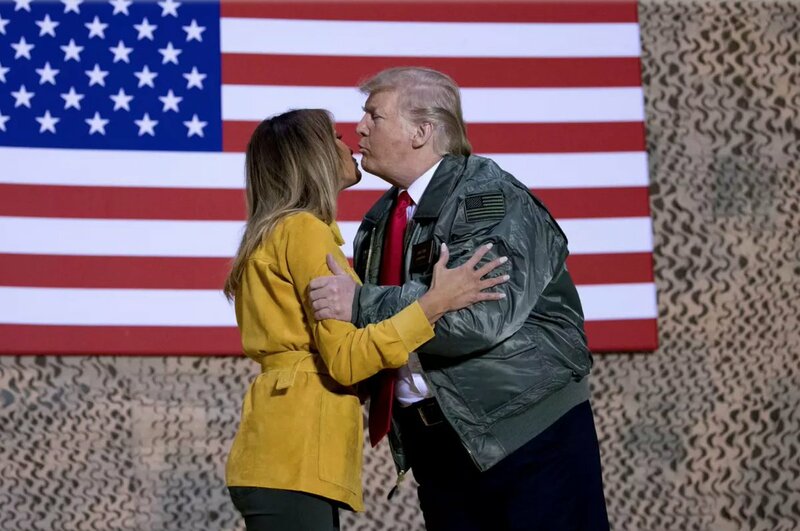 It's not in any way a display of affection or friendship - nor is it because Kennedy needs any assistance in walking (he doesn't) - rather this is Trump displaying dominance. 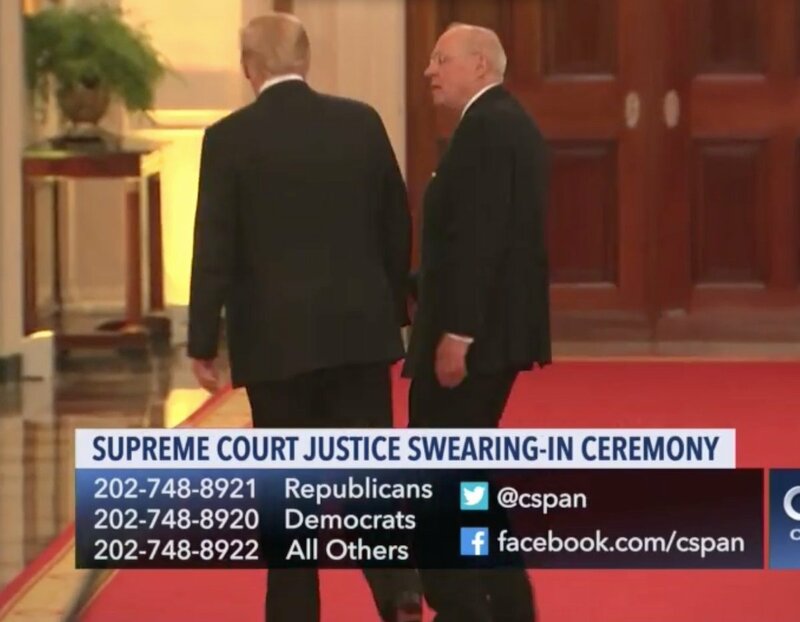 5/ As they turn to their left (30:29), Justice Kennedy suddenly stops - epitomizing the nonverbal idioms of 'stopping in his tracks' and he's 'taken aback' - and with both of his feet planted, his torso recoils, tilting backward, as he suddenly pulls away from President Trump. 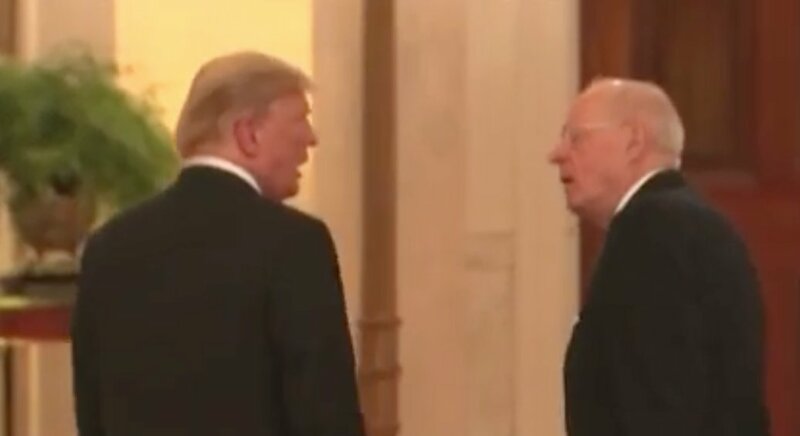 6/ Kennedy then leans slightly forward, particularly with his head and neck, in a moment of anger and assertiveness (30:30). 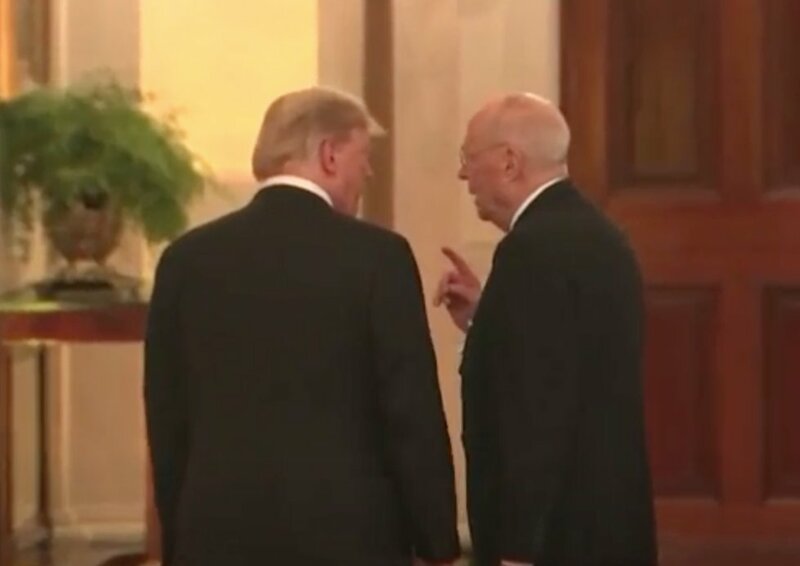 7/ As Trump attempts to calm Kennedy (30:32) with his dominant, palm-down gesture, Kennedy looks down to his right. 8/ This is the quadrant to which most people look in momentary reflection during high-emotional times (such as sadness, guilt, shame, regret, what-am-I-going-to-do-now?, and similar feelings). 9/ During 30:31, we see Kennedy's mouth momentarily agape - displaying persisting shock and disbelief. Notice too, that the justice's jaw is retracted - which, although not required, serves to amplify Kennedy's emotions. 10/ Kennedy then reasserts himself with Trump (30:34 - 30:37) with a finger-point hand-chop. 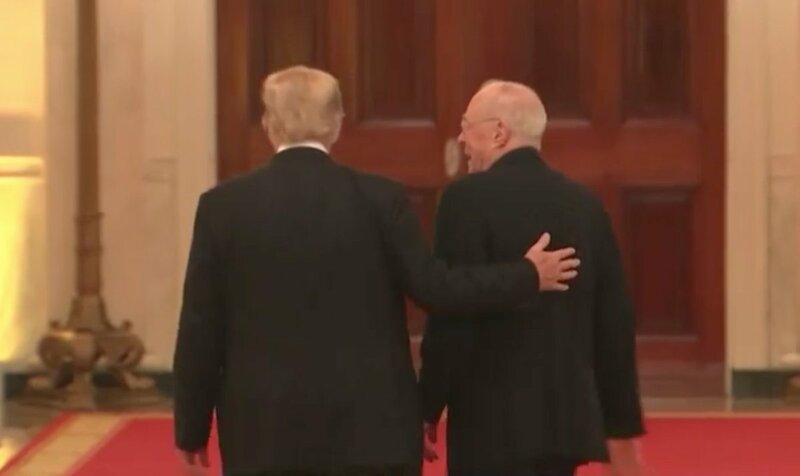 11/ This is indicative of Kennedy's feelings of anger and self-righteousness - and it's one of the few times you'll see this body language displayed in this, or any president's personal space (intimate space). 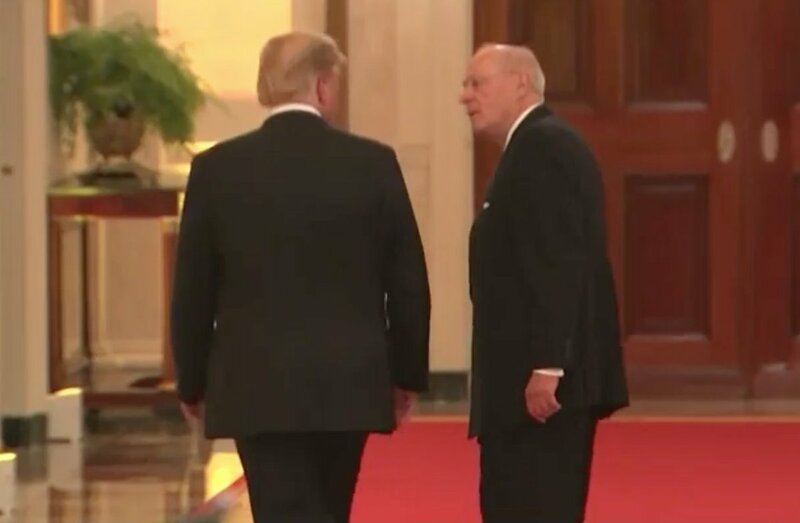 12/ Summary: While we don't know what President Trump said to retired Associate Supreme Court Justice Anthony Kennedy, we can be absolutely sure it has profound ramifications. Kennedy was taken aback/shocked. 13/ The justice then grew self-righteous and angry. This nonverbal exchange is highly-consistent with Kennedy believing that a promise had been broken.